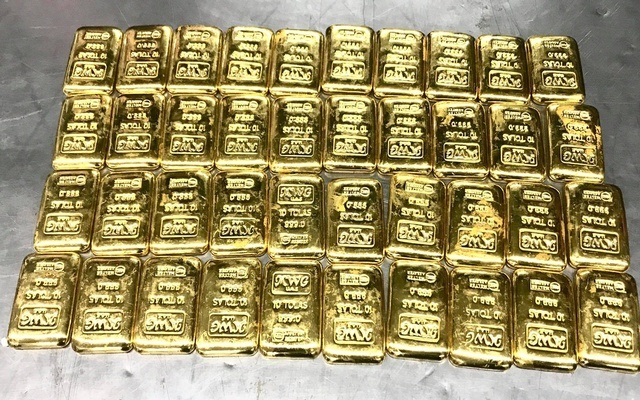 Two woman crews have been caught at Hazrat Shahjalal International Airport in the capital with 36 bars of gold jewellery in their undergarments early Monday. With the help of police, the officials of Dhaka Customs House detained---Sayma Akter and Farzana Afroz--- around 2am when their Saudi Airlines Flight SV-802 landed at the airport. APBN Additional Police Super Alamgir Hossain has confirmed the news. “Officers seized 26 gold-bars from Sayma Akter while ten others from Farzana Afroz after questioning them,” he added. Preparation is in progress to file a case in this connection.